ONS is in the midst of an important programme of transformation. Not only are we improving our current statistics but also developing new economic indicators. These go beyond the traditional headline measure of GDP to provide broader measures of our economy and society. The new measures seek both to reflect the complexities of the 21st century economy and also to value activities that aren’t included within the scope of GDP. Richard Tonkin presents a handy guide to the innovative outputs about to emerge. GDP is without question one of our most important economic indicators. It tells us about the size and shape of the economy. It helps the Government and the Bank of England manage the economy, for example informing us about the likely development of the public finances. In informing policy and public debate, it has therefore been important for us to develop and publish a wider range of measures, capturing those things not included within GDP. This is something we’ve been taking forward as part of our ‘Beyond GDP’ initiative and, over the next week, we’ll be publishing some of the outputs of this work. We have released new estimates of the value of ‘human capital’. By human capital, what we mean is the stock of skills, knowledge and experience of the UK workforce, which can productively be applied to create economic value. Measuring the stock of human capital can help us better understand what drives economic growth, as well as help measure the productivity performance of the educational sector. Looking at changes over time can also provide important information for assessing the long-term sustainability of economic progress, given the challenges raised by an ageing population. Higher levels of human capital have been linked not just with improved wages for individuals, but with improved health, lower crime rates, and increased trust and social participation. We’ll be publishing statistics which look at the value of all the unpaid work we do for ourselves, such as childcare, cleaning, laundry and volunteering, in what’s called the Household Satellite Account. While these aren’t included in GDP they are incredibly important to our well-being. They’re hugely valuable too – in our previous publication, we estimated the total value of unpaid household service work at over £1 trillion, equivalent to 56.1% of GDP. The household satellite account is vital when it comes to understanding the modern economy. Activities such as organising a holiday or finding the cheapest car insurance, which may have previously been carried out by the market through travel agents and insurance brokers, are now being produced by households themselves, using online services that are often free at the point of use. This movement away from paying for these services could lead to a reduction in GDP, while in practice, people’s well-being may be higher because of these activities. Capturing these free activities is part of our drive of measuring the digital economy, including through the Economic Statistics Centre of Excellence. We will also release our latest quarterly economic well-being publication. Supplementing the quarterly national accounts release, this includes various indicators that together aim to provide a more rounded and comprehensive basis for assessing changes in living standards. 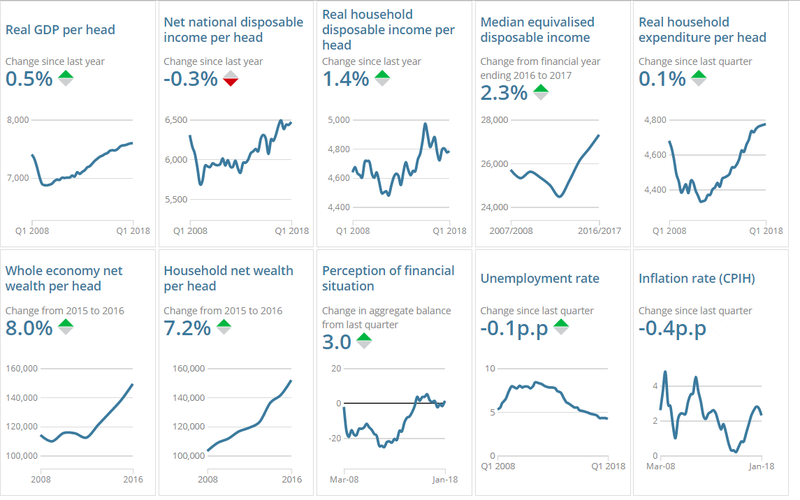 These indicators include household income, spending and wealth and broader economic indicators that may also affect well-being such as unemployment and inflation. It also includes people’s perceived personal financial situation, which is important to consider alongside the reality, as it is their perceptions that shape how well off they consider themselves to be and therefore, at least to a certain extent, their behaviour. On the same day we will also be publishing experimental statistics on alternative measures of household income and saving from the national accounts. The national accounts can give us some measures of household income that are very timely. However, these measures also include items such as so-called ‘imputed rentals’ – effectively the value homeowners would get if they rented out their own homes, which is included for international comparability – as well as pension contributions, which households may not have access to for many years. These statistics therefore removes these items to get a ‘cash’ measure of real household disposable income, which reflects the income directly received by households. 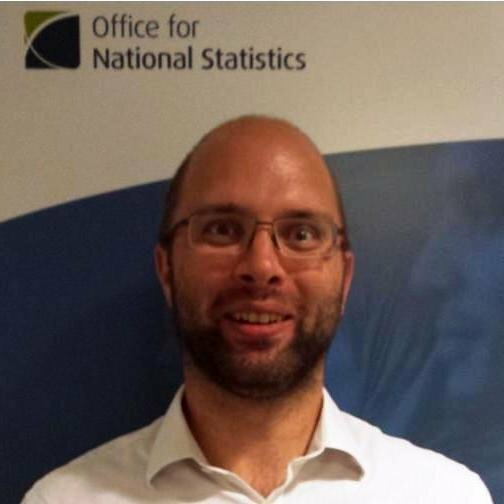 Although we’ve come a long way in developing these and other statistics that move us beyond GDP to provide a wider view of our well-being, we’ve got a lot more work planned to ensure we keep up with our changing economy and society, as well as increasing the speed and detail of our analysis. We’ll soon be publishing a workplan, setting out how we intend to improve and expand upon the existing human capital estimates to better meet users’ needs. When we do, we’d love to get your feedback, as well as any other ideas you have about how we can measure our economy better.